LINCOLN -- Gilbert J. Wilson, 77, of Lincoln died Thursday, Oct. 20, 2005, at 12:55 p.m. at St. John’s Hospital in Springfield. His body was cremated, and there is no visitation. A graveside service will be at 2 p.m. Tuesday at Union Cemetery. The Rev. Phillip Blackburn will officiate. Mr. Wilson worked in maintenance at Abraham Lincoln Memorial Hospital for 19 years and retired in 1991. He was born Feb. 22, 1928, in Lincoln to Franklin "Harrison" and Edna "Blanche" Hoblit Wilson. He married Mary Lucille May on July 31, 1950, in Lincoln. He is survived by his wife, of Lincoln; two daughters, Sharon (and Chas) Austin of Lincoln and Marla Givens of Lincoln; two granddaughters, Bethany Sharon Ridgway of Collinsville and Jessica Rae Ridgway of Edwardsville; and two sisters, Lois Leesman of Lincoln and Marianne Wood of Cook, Minn.
One sister, Jane Henson, preceded him in death. He was a member of the First Presbyterian Church of Lincoln. Memorials may be made to the Logan County Paramedic Association or to The Salvation Army Hurricane Relief Fund. BLOOMINGTON -- William C. Eimer, 80, of Bloomington, formerly of Lincoln, died Wednesday, Oct. 19, 2005, at 11:45 p.m. at OSF St. Joseph Medical Center in Bloomington. A graveside service will be at 11 a.m. Saturday at St. Mary's Cemetery in Lincoln, with Bill Degen officiating. Peasley Funeral Home of Lincoln is in charge of arrangements. Mr. Eimer was a greeter at the Wal-Mart store in Bloomington for the past 15 years. He had farmed east of Lincoln from 1947 until 1967. He then worked for Mel Wiggers Oldsmobile in Lincoln and Sam Leman auto sales for 11 years. He was born Aug. 28, 1925, in Lincoln to William C. and Leona G. Boughan Eimer. He married Mary M. Herberger on July 19, 1947, at St. Mary's Church in Lincoln. He is survived by his wife, of Bloomington; two sons, James Eimer of Bloomington and Michael (and Catrina) Eimer of Clinton; one sister, Loretta Hickey of Springfield; nine grandchildren; and seven great-grandchildren. He attended St. Mary's Catholic Church in Bloomington and was a former member of St. Mary's Catholic Church in Lincoln. Click here to send a note of condolence to the Eimer family. LINCOLN -- Ruth J. Pharis, 82, of Lincoln died Wednesday, Oct. 19, 2005, at 3:43 p.m. at Memorial Medical Center in Springfield. 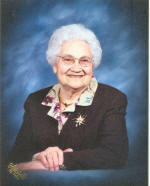 Mrs. Pharis retired as bookkeeper for the Spurgeon's store in Lincoln in 1988. She was born Dec. 20, 1922, at Altamont to Rudolph and Edith Miller Beccue. She married Joyce Pharis on Aug. 15, 1941, in Athens. He died March 7, 1974. She is survived by one son, Robert (and Jerrie) Pharis of Lincoln; one daughter, Judy Pharis of Cornell; two brothers, Wilbert (and Ruth) Beccue of Greenup and Paul (and Marian) Beccue of Scaly Mountain, N.C.; two sisters, Florence (and Harold) Keith of Mason City and Harriett (and Jim) Abeln of Athens; three grandchildren, Mark Pharis of New Holland, Pam Pharis of Charleston and Cindy (and Bob) Guy of Springfield; and two great-grandchildren, Taylor Guy and Robert Guy IV. She was also preceded in death by one brother and one sister. She was a member of Zion Lutheran Church of Lincoln and the church's missionary society, Home Extension, and was a former member of the American Business Women's Association, Lincoln Heritage Charter Chapter. Memorials may be made to Zion Lutheran Church or Zion Lutheran School of Lincoln. Click here to send a note of condolence to the Pharis family.